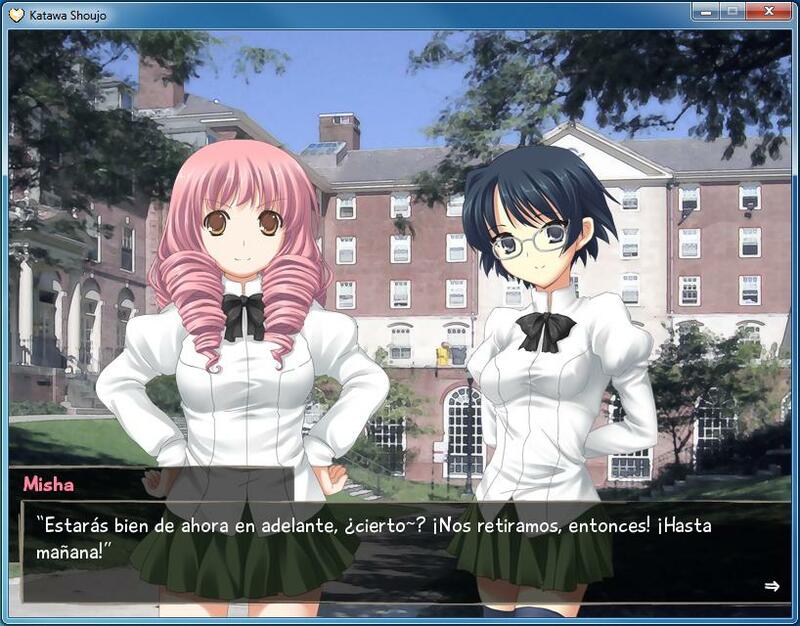 Making a long story short, we're a group of guys working on a latinamerican spanish translation of Katawa Shoujo. 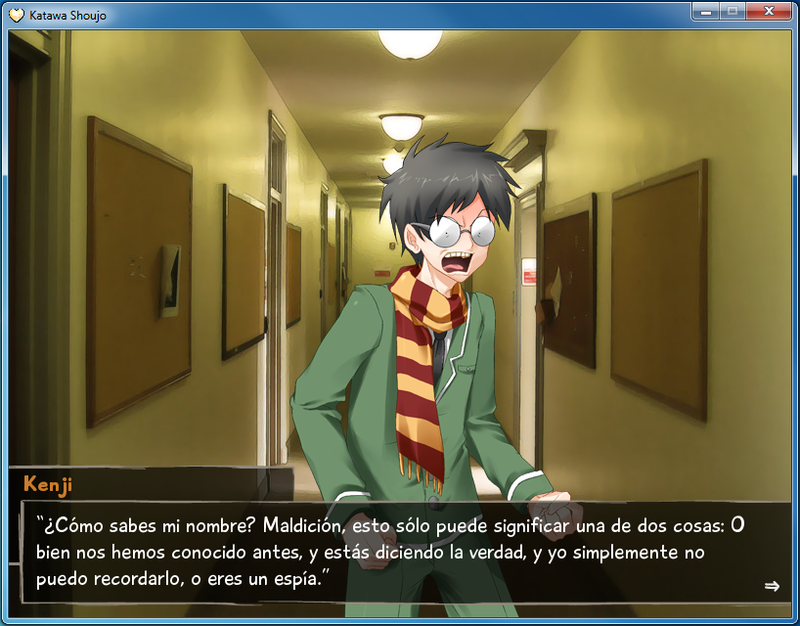 We have most of Act 1 translated and the first two days running perfectly, it lacks polishing. Right now we're looking for people interested in joining the team as translators willing to present an exam to prove their capability. We have a new blog and new forums, we hope that getting rid of the xp-dev ugliness will encourage people to be more active in the translation community for this game. Those interested in checking them out here's a link to the blog and the forum, of course it's all in spanish. Ah so they're finaly taking a crack at translating it frm English I see. I was wondering how the multi-translations were going. Heck I belive this game was supprose to have a Japanese translation just because of it's origin pic over this very game. More news: We're now officially accepting applicants for those wishing to help with translation in the project, more info on the link. Thank you. Kid-Wolf wrote: Ah so they're finaly taking a crack at translating it frm English I see. I was wondering how the multi-translations were going. Heck I belive this game was supprose to have a Japanese translation just because of it's origin pic over this very game. The first act (the demo) has been translated to many languages, one of them being japanese, but the final release hasn't been yet. The game itself is still somewhat new, having like 6 months or so from being out, and this project is just one of many; other languages being italian, german, castilian spanish, japanese and so on. But that's a whole other thing, and I don't know much about the other groups tbh. Well here's hoping they make it in time for the Winter Comiket then. Besides the pic itslef said it was going to seel a a certain price, and I'd lol rather hard if they managed to stick to said price in the end of it all. Pretty much I found out that the storylines for the Second Act onwards pretty much go with the CGs that they were given at the time, and decided to work the story around them instead of it being the other way around. Kid-Wolf wrote: Well here's hoping they make it in time for the Winter Comiket then. Besides the pic itslef said it was going to seel a a certain price, and I'd lol rather hard if they managed to stick to said price in the end of it all. I'm... not quite sure what you're talking about here, but it kinda sounds like you saw somewhere that game or the translation(s) will be sold at the winter comiket... If that's the case, then no, as far as I know that'd be illegal. 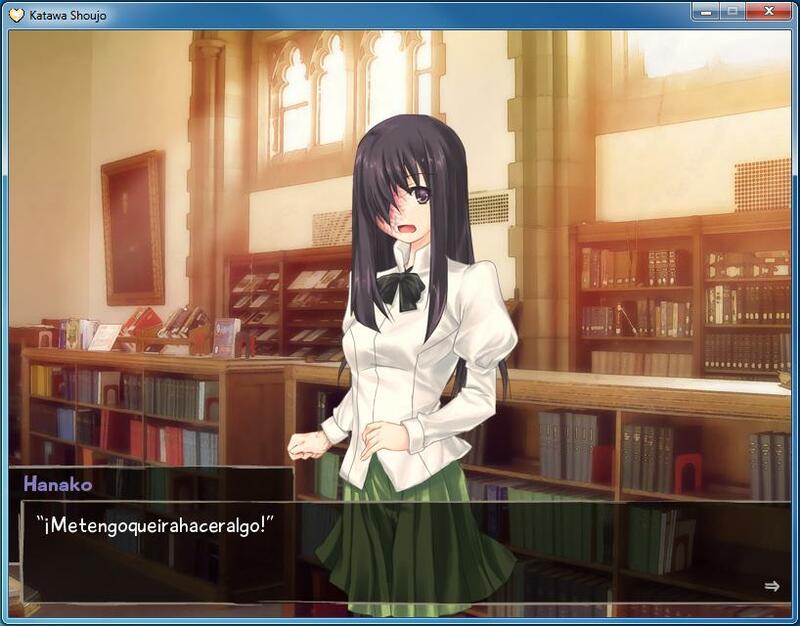 The game is free and the translations will be free as well. If you're talking about an artbook, the last one I heard of was sold at animexpo 2012. Dunno much how that went, though. Kid-Wolf wrote: Pretty much I found out that the storylines for the Second Act onwards pretty much go with the CGs that they were given at the time, and decided to work the story around them instead of it being the other way around. 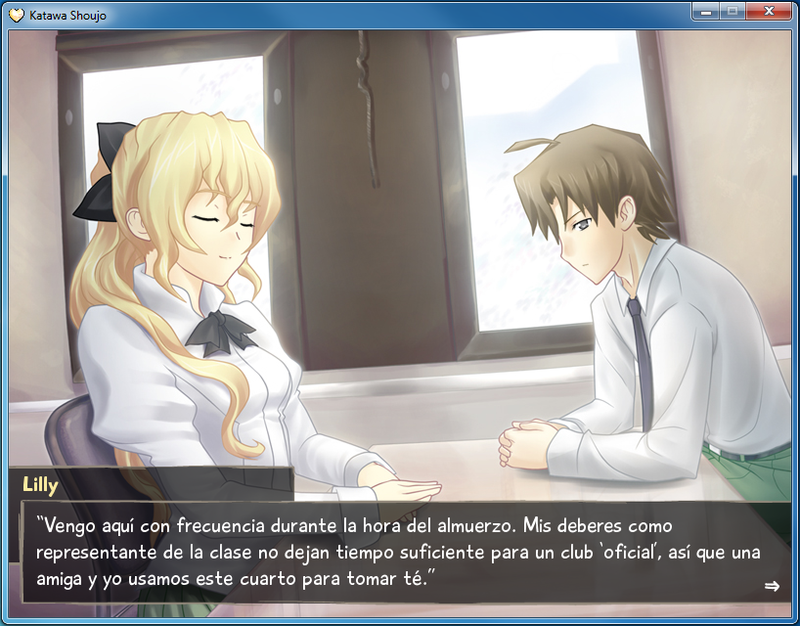 This is going on a tangent pretty badly... That's only applicable to one of the routes. How do I know? I've been around for long enough to know things. Ah what I meant was the pic that started this game pretty much said it was to be sold at a certain rate, and I thought that if it was translated into Japanese that the would do something like that.